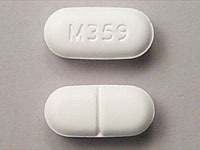 Lortab is made up of Hydrocodone (related to codeine). It is in a class of drugs called narcotic analgesics. Lortab is prescribed to relieve pain. It may be taken with or without food. When taken with alcohol, it can intensify drowsiness. It may interact with monoamine oxidase inhibitors, as well as other drugs that cause drowsiness. It is in FDA pregnancy category C: its effect on an unborn embryo or fetus is not clearly known and pregnant women should consult their physicians before taking it. Lortab acts by attaching to specific proteins called opioids receptors, which are found in the brain, spinal cord, and gastrointestinal tract. When these compounds attach to certain opioids receptors in the brain and spinal cord, they can effectively change the way a person experiences pain. In addition, opioids medications can affect regions of the brain that mediate what we perceive as pleasure, resulting in the initial euphoria that many opioids produce. They can also produce drowsiness, cause constipation, and, depending upon the amount taken, depress breathing. Taking a large single dose could cause severe respiratory depression or death. Chronic use of Lortab can result in tolerance to the medication so that higher doses must be taken to obtain the same effects. Long-term use also can lead to physical dependence—the body adapts to the presence of the substance and withdrawal symptoms occur if use is reduced abruptly. Individuals taking prescribed Lortab should not only be given these medications under appropriate medical supervision, but also should be medically supervised when stopping use in order to reduce or avoid withdrawal symptoms. Symptoms of withdrawal can include restlessness, muscle and bone pain, insomnia, diarrhea, vomiting, cold flashes with goose bumps (“cold turkey”), and involuntary leg movements. Lortab abuse has been escalating over the last decade. There has been large scale diversion of hydrocodone. For example, an estimated 7 million dosage units were diverted in 1994 and over 11 million in 1997. In 1998 there were over 56 million new prescriptions written for hydrocodone products and by 2000 there were over 89 million. From 1990 the average consumption nationwide has increased by 300%. In the same period there has been a 500% increase in the number of Emergency Department visits attributed to hydrocodone abuse with 19,221 visits estimated in 2000. In 1997, there were over 1.3 million hydrocodone tablets seized and analyzed by the DEA laboratory system. A recent petition submitted to the DEA has requested a review of the control status of all hydrocodone-containing products. Common side effects of Lortab include dizziness, lightheadedness, nausea, drowsiness, euphoria, vomiting, and constipation. Some less common side effects are allergic reaction, blood disorders, changes in mood, mental fogginess, anxiety, lethargy, difficulty urinating, spasm of the ureter, irregular or depressed respiration and rash. Symptoms of Lortab overdose include respiratory depression, extreme somnolence, coma, stupor, cold and/or clammy skin, sometimes bradycardia, and hypotension. A severe overdose may involve circulatory collapse, cardiac arrest and/or death.